LEADERSHIP: To raise a new generation of ISACB leaders, we have established Women’s Leadership Committee and Early Career Mentorship Committees. 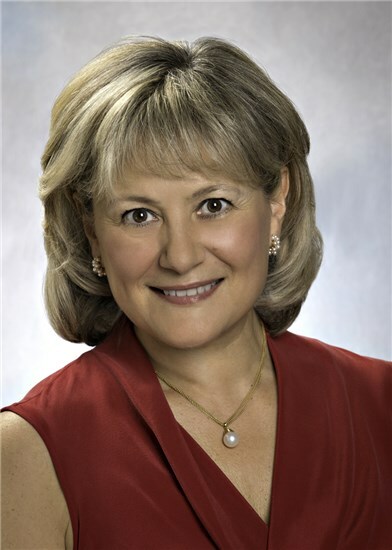 Women’s Leadership Committee, co-chaired by Cynthia St Hilaire and Joy Lincoln, promotes visibility and engagement of women in ISACB activities and leadership. Early Career Mentorship Committee, co-chaired by Giovanni Ferrari and Craig Goergen, aims to foster the development of trainees and early career investigators by providing mentorship and early career advice. GROWTH: To engage a new generation of ISACB members and to increase our membership and diversity, we recently formed the Membership Committee chaired by Ngan Huang. It was created to increase ISACB visibility and attract more members, particularly early career investigators and female researchers. SCIENCE: To connect with scientists in new areas and broaden our research scope, we are working to build on the successes of our biennial and off-year meetings and continue the momentum year-round. The Off-Year 2017 Meeting celebrated the 30th anniversary of ISACB. The Planning Committee, led by Tim Pennel, Dan Simionescu and Luke Brewster, organized an exciting scientific program in Cape Town, South Africa. Our ISACB 2018 meeting was held in beautiful Bordeaux, France. ISACB 2018 Programing Committee, led by Nico L’Heureux, built innovative sessions with outstanding speakers from across the globe. The Off-Year 2019 Meeting is planned to be held in Zurich, Switzerland (ISACB Organizing Committee chair – Christopher Breuer) in collaboration with ISVTE (International Symposium on Vascular Tissue Engineering). ISACB 2020 will be held in Tokyo, Japan (Organizing Committee chair – Masanori Aikawa). VISIBILITY: To promote our visibility through interactions with other societies, and enhance our recognition outside of the US, we established European Partnership Committee, chaired by Carlijn Bouten, and Asian Partnership Committee, chaired by Masanori Aikawa. PARTNERSHIP: Our newly formed Partnership with Industry Committee, chaired by Mike Wolf, facilitates interactions with industry. This group aims to foster collaborations between academic scientists and industry to accelerate translation of basic discoveries. I would specifically like to recognize our members who have been so active during 2018, including Luke Brewster (chair of Long Range Planning Committee), Gary Bowlin (secretary/treasurer), Julie Philippi (chair of ISACB webinar series), Josh Hutcheson (editor of eCirculator), Alexey Kamenskiy, Agie Simionescu, Janice Tsui, Toshi Shinoka, Claudia Goettsch, Art Coury, Glenn Gaudette, Tina Ridker, Julie Wolfram Smith, Sara Vigmostad, David Vorp, Steve Shmidt and Frederick Schoen. And our special thanks to Lisa Bowlin for her help with many administrative issues. In 2019, we will continue advancing the mission of the ISACB by continuing our collaborations with other societies (e.g., ATVB, NAVBO), expanding our membership, facilitating new mentorships, increasing industry presence, and revitalizing our relationships with ISACB founding members. We welcome participation and input from all members. We also encourage you to join our ISACB family! 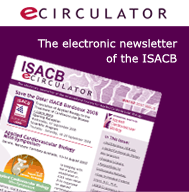 The eCirculator Newsletter is published as an information service for the members of the International Society for Applied Cardiovascular Biology. To subscribe today just fill in your email address below. We DO NOT share your email address with anyone. Enjoy the e-Circulator!